I love that saying. I am in no way Southern, midwesterner through and through, whatever that means. But I just love the saying "Happy Fall Y'All!". 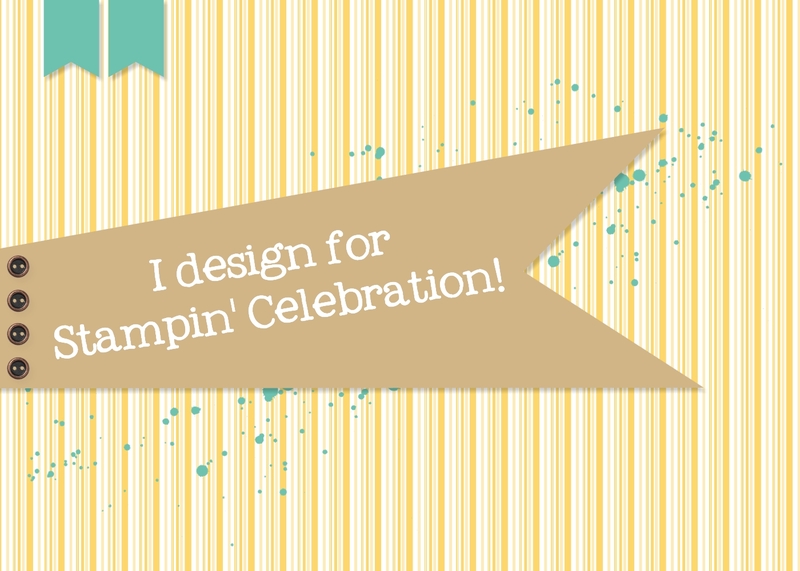 For this months Stampin' Celebration Inspiration Challenge #SC88, a few things just came together for me that made the outcome fun! 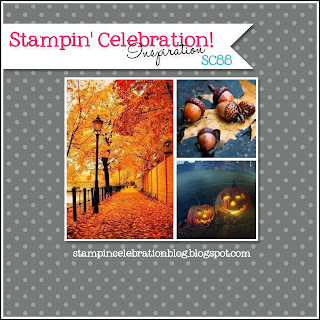 Of course, I love the leaves in the Fun Fall framelits dies in the 2014 Stampin' Up! Holiday mini so I had to use them on the card. Also, I bought the Yee Haw photopolymer stamp set and couldn't wait to figure out how to use it. So, while it took me a few days to put everything together, the mojo gelled and I came out with a card I was happy to share! 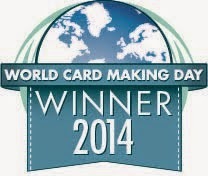 A lot of different elements in this card. For the leaves, I sprayed a mix of alcohol and mossy meadow ink onto crushed curry and cherry cobbler cardstock and used the Fun Fall framelit dies to cut them out. For the orange leaves I actually started with very vanilla cardstock and sprayed it with a mixture of tangerine tango alcohol spray and mossy meadow alcohol spray. The effect is more of a watery color mixture effect instead of the sprayed droplets. If that makes sense. For the acorns, I stamped the acorn stamp from the For All Things stamp set with VersaMark onto Kraft cardstock. I used my bone folder to carefully apply clear embossing powder to the bottom of the acorn and early espresso embossing powder to the top of the acorn. I don't really know how the gray in between the two colors came about but I am liking it! A few staples here, a few dimensionals there, a little burlap and linen thread later and a card to welcome fall is created. Hope you play along with the challenge! I can't believe October is on it's way. Luckily it's a long month, nevertheless, it will likely go by as quickly as the rest of the year! Super cute, LOVE the sentiment!! !